I feel the need to provide some background about my relationship with Sweet Briar College. Every alumna has a reason why they are devastated at the prospect of her (yes, we often refer to her as “she” or “her”) closing. Many who know me don’t understand the personal and professional energy I am spending in support of the movement to stop the closure. Here is what I have to say on that…. To me it is the sense of belonging through the different ways people connect – cohort groups – a fundamental human need, as you know, is a sense of belonging – home – shelter being the most basic. This is a place we learned and LIVED. It was and is HOME for us. It was home at a time when we were growing into women from girls. The experience of College alone pushed us more than we had ever been pushed. Then, there are the friendships that endure and those hearts are intertwined across the country and continents. then there is the fact that some came with broken hearts and broken lives and they were repaired a bit at Sweet Briar by loving faculty, staff, the Chaplain and others. 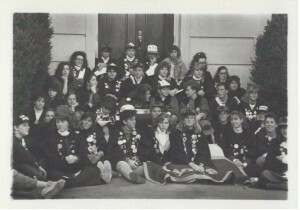 For me, I had four high schools before coming to Sweet Briar. It was home to me and was the longest place I had lived up to that point in my life. I always knew I could go back and I cannot imagine a world without Sweet Briar in it. 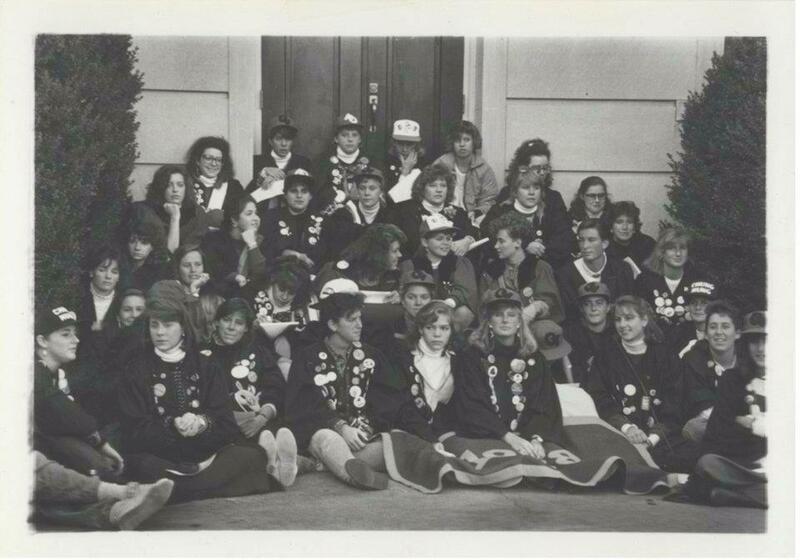 Prior to Sweet Briar College, I had four high schools. Yes, four. I did not attend these high schools in a tidy order either. My father’s job and career progression (which I feel the need to insert I admire and do not regret) moved us in the middle of each year of high school. When I applied to Sweet Briar, I lived in Severna Park, Maryland. Prior to that, I lived in Roanoke, Virginia; Minneapolis, Minnesota; Kansas City, Kansas and St. Louis, Missouri. Those are the places I remember. There were a few more moves before that. You might think would leave to academic disaster, but it didn’t. I was able to pursue a college-level track of courses, including some APs and honors courses, but I did find a shocking disconnect across our country between curriculum even for courses leading to national tests, but that is a topic for another blog post. You might think I would become a complete loner or perhaps have social challenges. True, moving and being a “new girl” is absolutely something I wouldn’t wish on anyone, but the lessons I learned I wouldn’t trade for anything. The friends I made are life long friends in each place. The values I learned in sticking up for those who didn’t have a voice stick with me to this day. But that is another topic for another post. When I considered Colleges, the one thing I wanted was a place that felt like home. I had not thought about a woman’s college, a rural college or even a small or large college. I just wanted a place where I could put down roots and focus for an extended period of time on my academics, my interests and my social life (which had also taken quite a hit). I chose Sweet Briar because the admissions representatives wrote real letters, postcards and got to know me as a person. 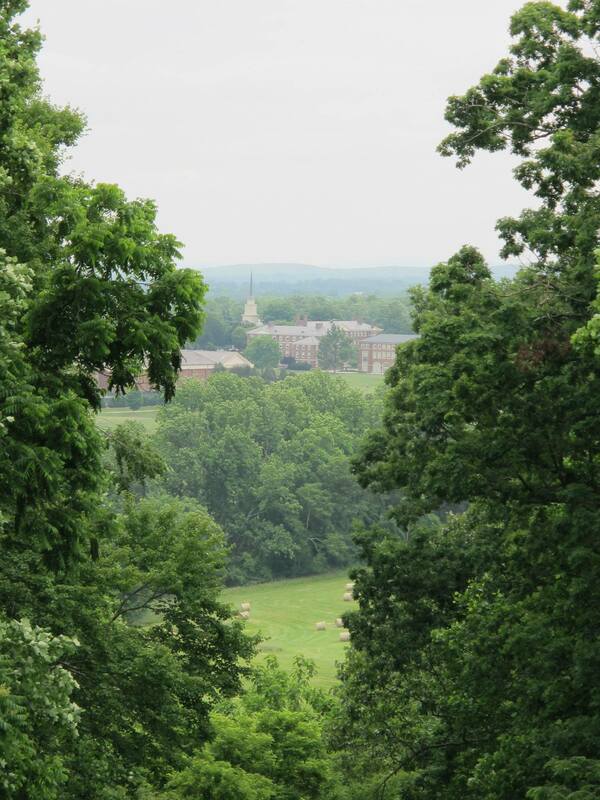 I chose Sweet Briar because the admissions materials showed a beautiful place with happy, smiling faces. I chose Sweet Briar because the academics and the professors were solid and award winning. Once I came up the long driveway and came on campus, I chose it because it felt like home. Sweet Briar is situated on 3,000 hilly acres. A former plantation ( a fact that wasn’t widely explored when I attended, but I am pleased to see is now embraced and used as social justice and history education now), the College buildings were designed by famous architect, Ralph Adams Cram. A boxwood garden, estimated to be over 200 years old, surrounds an elegant “farm house”. I didn’t appreciate all of this at the time, but the buildings did make one feel a sense of permance, grace and protection. “The Quad” unfolds from the Chapel. The Chapel became an important place to me, a place where I embraced my Episcopal roots, was confirmed, sat on the Committee to recruit the next Chaplain, The Rev. Susan Lehman (who would become a lifelong mentor), and where I often went just to think, cry and do homework. There are many nooks on campus that students can make their own. “Faculty row” and housing for faculty and staff served as a neighborhood of nearby adults, professors, mentors, friends and great prospects for house-sitting and baby sitting. My favorite was the Chaplain’s house. Susan Lehman would let me sleep over when I was feeling particularly in need of some parental attention. Her husband, John was a writer and I remember his entire office being covered with plot lines for various novels. Everyone’s favorite part of the Chaplain’s house was the basement — because she had boxes of broken china (which she would buy at thrift sales) that you could smash if you felt like it. It’s tremendously satisfying, I recommend it over any type of therapy. The Boathouse is perhaps the most charming of places on campus. The timber structure has a balcony overlooking the lake and, inside, a large great room with soaring ceiling and a large hearth. On the lower level the slips are covered and, when the sun is shining, the water reflects on the ceiling. There is a slight echoing sound created from the water lapping the dock which sounds slightly like being in a cave. One of my regrets is that I never hiked to the “cabin”. There was a fully stocked cabin up in the woods where you could spend a weekend. 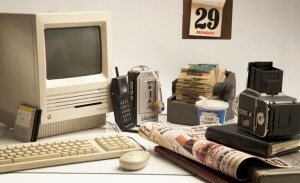 Technology from 1988 – we had only three Macintosh computers which had to be signed out in hour blocks. While beautiful – incredibly beautiful – what most made Sweet Briar feel like home were the faculty and staff. I chose to major in English and Psychology, the closest combination of subjects I thought I could use in sales or marketing, my father’s profession. I did not have ideas of what I would do when I entered, but Sweet Briar pointed in the direction that would be my career. All of my courses were amazing. Any one of them I would go back and retake for pure enjoyment, even the tough ones. Micro-economics was taught by a dynamic Chris Pikrallidas (who I am delighted to learn is a superstar at George Mason University in Fairfax, Virginia). Chris insisted that we learn applicable skills and begin to think about how business would be relevant to us whether we majored in it or not. I seriously considered it. I double majored in English and Psychology (a fact which I marvel at now did not cost any extra as we paid a fixed amount, not by the credit hour). I still draw upon concepts I learned during this time and refer to the textbooks. 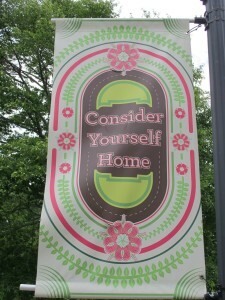 Sweet Briar does not have sororities, but it has many ways to find connection. In my Freshman year, I was voted by my class as a “Q.V.”, a group of classmates who do nice things for their class during their Junior year. It is an honor I am grateful for to this day both for the connection to fellow Q.V.s as well as for the ideas of leaving secret surprises for people. I still do things like this for my family and colleagues. The group met in secret – which made for some very scary nights – and we made secret “drops” in the middle of the night – some of my life’s most terrifying memories. Because, as it so happens, there is an opposing tap Club, the “Bum Chums”, whose role it is to find Q.V.s On the final night before step singing, my friend Minta and I stayed at the President’s House. We were discovered at about 1am and learned later that the back porch, a bright green, had been freshly painted. Green paint was tracked through the living room up to the bedroom where we slept. I served on the Student Government Association. This was where I found my voice, particularly to my elders, men and those in authority. I think this is one of the lingering lessons of a women’s education. I also learned to practice this voice while also being polite, a delicate balance. Many of my male and female mentors at Sweet Briar not only helped me in this regard, they helped me find the words that could fit in my mouth by talking through issues, helping me see multiple perspectives and finding a way to express my own. My career in development began at Sweet Briar. Martha Clement, an icon of the College, recruited me to be a phonathon caller over breakfast after morning prayer one morning. She said, “Tonight we are giving away records. You aren’t afraid to talk to people – you should try it.” My roommate, Leslie Corrado, had a turntable. I was determined to come home with a record (Leslie was so generous with sharing things with me). I took a stack of cards and climbed the stairs to the attic of the Development Office. The phones were separated by compartments. I made my first call to California and discovered the nuances of time zones – I had reached a family over dinner. I later used those time zones to my advantage sorting my cards in order of time zone and calling until well into the night. I made the top of the leaderboard that night and brought home the AC/DC record (which neither Leslie nor I liked). I was hooked. Within a few weeks, I would be given the most challenging cases and I took cards home to call mid-day for people we never reached in the evenings. By my senior year, I had a part-time job in the Development Office. To this day, I ALWAYS am nice to phonathon callers…. At my 5th Reunion, I was recruited to work at Sweet Briar. 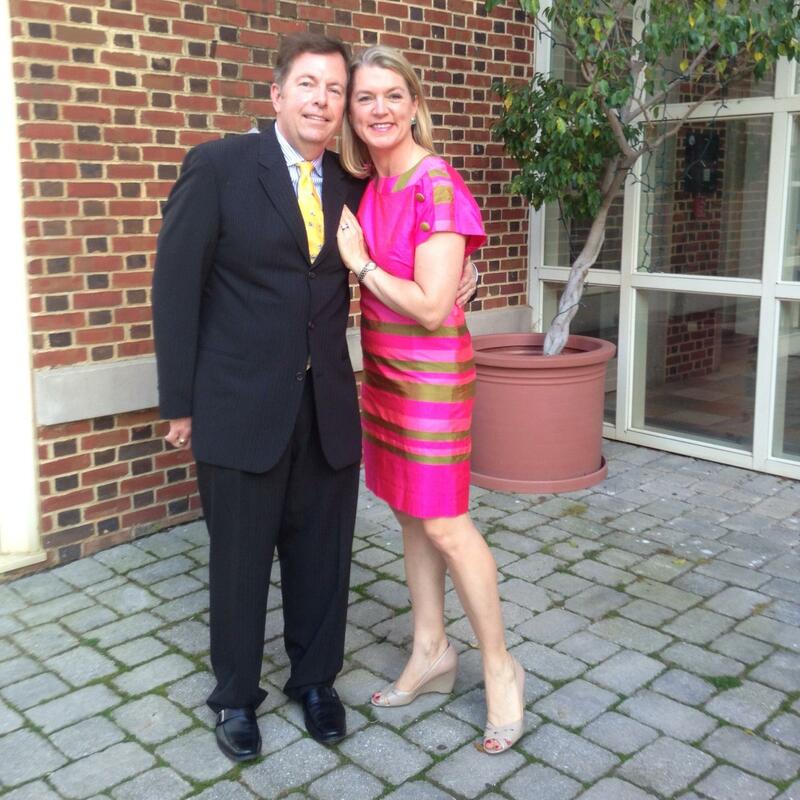 After Sweet Briar, I got a position as an event planner at Courtesy Associates in Washington, DC. I lived with my friend from College, Christina Savage when I wasn’t commuting to and from Annapolis. Sweet Briar promised to teach me development and that they did. My boss, Denise McDonald, was an amazing mentor offering me manuals from her past work and coaching me through calls, editing letters and allowing me to shadow her with donor calls and group meetings. Mitch Moore, Vice President of Development, was also quick to share advice and suggestions. I was terribly green and made many mis-steps. They were very patient and attentive. To this day, I am not sure I have ever been as good a boss as they were to me. Louise Zingaro, then Director of the Alumnae Association, provided invaluable introductions and encouragement along the way. Employing Denise McDonald’s Regional Campaign model, $13 million was raised from regional campaigns in New York, NY; Washington, DC; Atlanta, GA; Charlotte, NC; San Francisco, CA; Boston, MA; Philadelphia, PA; Richmond, VA; and Lynchburg, VA. To this day, I wish we had not started in Lynchburg because it was not my best work and these were Denise’s neighbors…. Many scholarships, endowed professorships, program support and building gifts were made during this time. I remember so many of those people. I lived in the “Music Box” apartments. Working at the College was so different from being a student. In some ways better, in some ways worse. The best part was getting to know the faculty and staff as people. The worst was not being on campus very much (I traveled extensively) and “giving up my rights as an alumna”. I learned after attending my first SGA meeting as an employee and speaking out, that “voice” I had so boldly learned at Sweet Briar as a student, wasn’t able to speak freely as an employee. It is one of the reasons I understand the staff member’s silence now as the College seeks to close. I learned after attending my first SGA meeting as an employee and speaking out, that “voice” I had so boldly learned at Sweet Briar as a student, wasn’t able to speak freely as an employee. It is one of the reasons I understand the staff member’s silence now as the College seeks to close. 25th Reunion party at the boathouse. 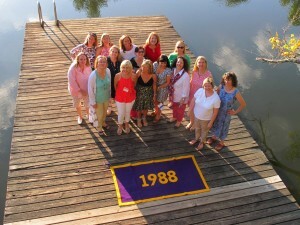 I have attended every reunion at Sweet Briar both on and off campus. I include off-campus because some reunions have been at weddings, sad occasions and getting together informally. The friendships and bonds from Sweet Briar are like invisible threads from person to person creating a strong fabric of ties across the country and continents. What I most love about Reunions is oneness. Even from my class’s fifth reunion, the friendship groups that naturally clustered together by dorm or major or sport smoothly flowed into one group. By our tenth reunion, I couldn’t even remember who was friends with who — we were all one group. Over those years, I have served in various capacities as class president, class secretary and class agent (fundraiser). The need to serve Sweet Briar has never stopped. Time together at parties and presentations is wonderful, but I think what many people enjoy is exploring campus. Long strolls to the boat house or around the dairy route allow a taking in of campus as a whole. I like to explore the buildings where I took classes and the library where I studied. This is when Sweet Briar becomes mine again. A visit to monument hill where Daisy is buried next to her parents is an important stop for me. 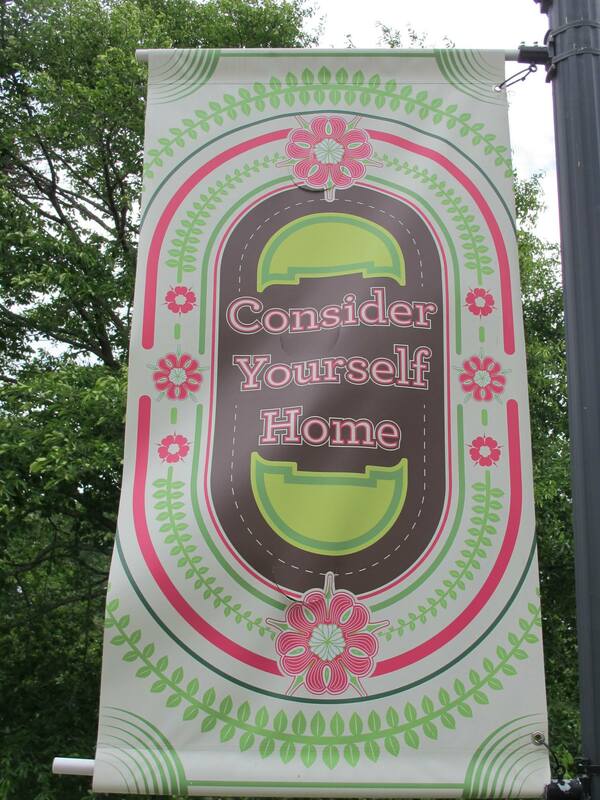 Sweet Briar was born of a tragedy – the death of a daughter – and it has become a living memorial. I think Daisy’s mother, Indiana Fletcher Williams, would be very pleased to know how Daisy is honored. Every year the students process to her monument and lay daisies in memory. Today as I write, the President and Board of Sweet Briar are taking steps to close. Indiana’s will is being violated. The “perpetual memorial” to Daisy – which exists through the students studying at Sweet Briar – is threatened. THIS is why I must save Sweet Briar. THIS is why I care so much. I cannot imagine a life without her…. My husband, Lyn, and me at my 25th Reunion. He is fighting to save Sweet Briar too! Previous PostGovernance – Best & Worst Practices (with Sweet Briar College as a case study)Next PostWhere is a General (Attorney General in this case) when you need them? Stacey, your words breathed life back into our beloved SBC English Department. What a treat it was for your memories to jumpstart my own. Those professors brought along anthropology, sociology, psychology, and history into their discussions about the novels we studied, making their classes as enjoyable as each of them were intriguing . Thank you for sharing the background about your relationship with Sweet Briar College. Thank you – I shall make that correction. Still wrong. Still gilding your lily. DC Girl – I checked with CASE (I recently wrote an article for them) and in this context I was told one could use an article. Just wanted you to know.